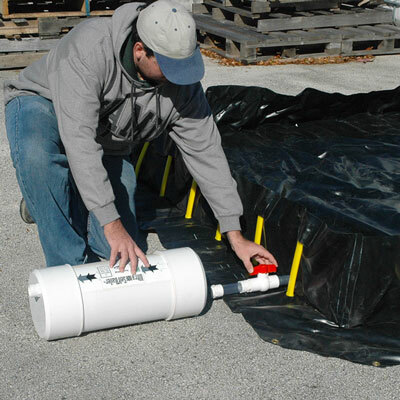 Maintain an effective outdoor spill containment unit and eliminate problems from the collection of rainwater with a Spill Containment Self Bailer Kit. Containment sumps that are full of water quickly lose capacity to remain as an effective spill control solution. This is the ultra self bailer kit for sites with exposed outdoor containment products that lack sufficient cover to protect them from the elements. It offers the best protection in rainwater drains for standard or custom size berms, by capturing both modest spills and oil sheens during draining operations. Our self-bailer kits feature a durable PVC construction design and come in four sizes, with replacement filter units sold separately. Rainwater drains through the bailer's filtration device while capturing oil spills or other hydrocarbons so that only clean water exits the unit. Preserving clean stormwater drains on your work site is a key step for EPA and SPCC regulation compliance. 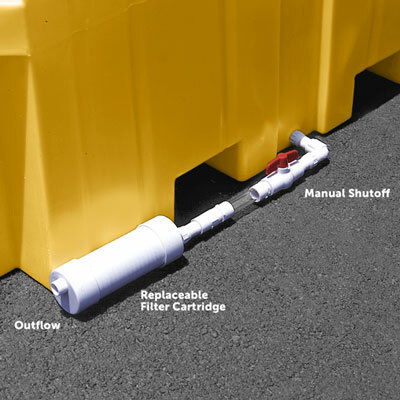 From units with rugged PVC sidewall assemblies to collapsible wall model spill containment berms, this kit is designed to work with any outdoor containment product. Its compact and efficient design will not interfere with sidewall support structures or other spill containment berm features. It easily attaches to spill pallets or other containment units to enable clean water drainage flow of up to 55 gallons per hour when using the largest size bailer. Our Self Bailer kit comes with a female 3/4" NPT fitting, as well as a coupler fitting. Spill containment units—such as spill pallets and sumps—that are already fitted with a 3/4" NPT drain do not require any additional parts. Containment units that do not have a 3/4" NPT drain require a bulkhead fitting (sold separately from this kit). Install and fit a bulkhead by drilling a 1 9/16" hole into the sidewall of your containment product. Then use the coupler fitting that comes in the Self Bailer kit with the bulkhead fitting. Once installed, the unit allows rainwater to safely pass through and drain from your containment area by removing any residual hydrocarbons. It offers the best protection for compliant draining operations to ensure clean stormwater drain discharges. Filter cartridge are quick and easy to replace and should be done once the draining water flow rate is no longer sufficient through the outflow port. As the filter's media saturates with oil it expands so that water flow through it becomes restricted. Therefore, monitoring water flow from the drain port is an excellent indicator of the amount of hydrocarbons absorbed by the unit. When you observe that the water flow is becoming severely restricted, or completely stops, this is a crucial sign that the filter is "full" and needs changing. The life expectancy of a filter is dependent on the amount of oil or hydrocarbons present in the water draining through the unit. The smallest size kit shuts-off when the filter has 7 to 10 ounces of hydrocarbons, while the largest size bailer operates to a maximum of 228 ounces of hydrocarbons. The use of polypropylene absorbents—when circumstances allow—as a "pre-filter" inside your containment sump can help prolong the lifespan of your self bailer. 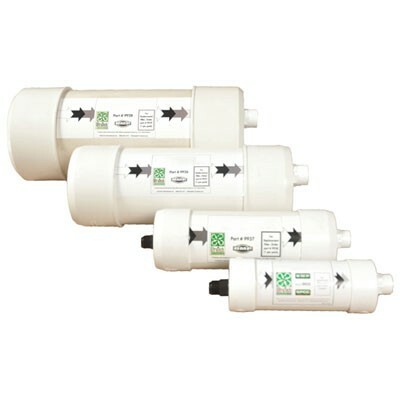 Replacement filters are available in four sizes that correspond with your self bailer. Be sure to engage the manual shutoff valve before changing out the filter. The manual shut-off valve allows you to completely stop water or other liquids from passing through the self bailer. Engaging the shut-off valve is recommended whenever it is necessary to switch out the filter cartridges. The valve is also useful in the event of a spill: employ other absorbent materials to remedy and prevent the spill from reaching the filter media to extend the lifespan of your cartridge (because it won't need replacing with a new one). In the event of large or concentrated spills, the bailer's media swells to activate its auto shut-off mechanism. This completely seals off the self bailer to prevent any liquid from escaping from the containment area until manual intervention and spill control steps are undertaken. Durable PVC materials and construction provide excellent chemical compatibility. 40 CFR 122.26 and 40 CFR 112.7. 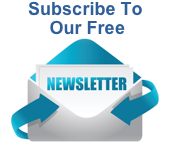 Please contact us by email or call toll free (800) 869-9633 for any questions about orders or shipping. We are also happy to help with your other containment product needs, including spill decks, mats or IBC spill control solutions to comply with EPA Container Storage Regulation 40 CFR. 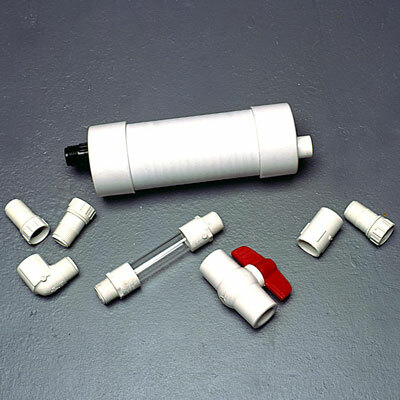 Self Bailer Kit – includes ¾ inch NPT fittings, coupler fittings and shut-off valve. Dimensions: 28 inches long x 3.5 inches diameter. Capacity: 6-8 ounces. Shuts-off when filter has 7 to 10 ounces of hydrocarbons. Flow rate: 7.5 gallons per hour. Color: White. Weight:3 lbs. Self Bailer Kit – includes ¾ inch NPT fittings, coupler fittings and shut-off valve. Dimensions: 36 inches long x 4.5 inches diameter. Capacity: 21-28 ounces. Shuts-off when filter has 26 to 32 ounces of hydrocarbons. Flow rate: 22 gallons per hour. Color: White. Weight: 6 lbs. Self Bailer Kit – includes ¾ inch NPT fittings, coupler fittings and shut-off valve. Dimensions: 39 inches long x 6.5 inches diameter. Capacity: 140-156 ounces. Shuts-off when filter has 150 to 165 ounces of hydrocarbons. Flow rate: 42 gallons per hour. Color: White. Weight: 12 lbs. Self Bailer Kit – includes ¾ inch NPT fittings, coupler fittings and shut-off valve. Dimensions: 43 inches long x 9 inches diameter. Capacity: 200-226 ounces. Shuts-off when filter has 215 to 228 ounces of hydrocarbons. Flow rate: 55 gallons per hour. Color: White. Weight: 16 lbs.